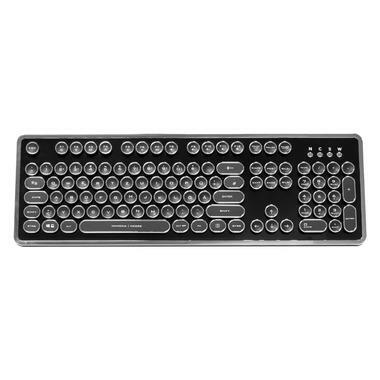 High-quality retro-style keyboard with mechanical switches, round keycaps and a waterproof casing. 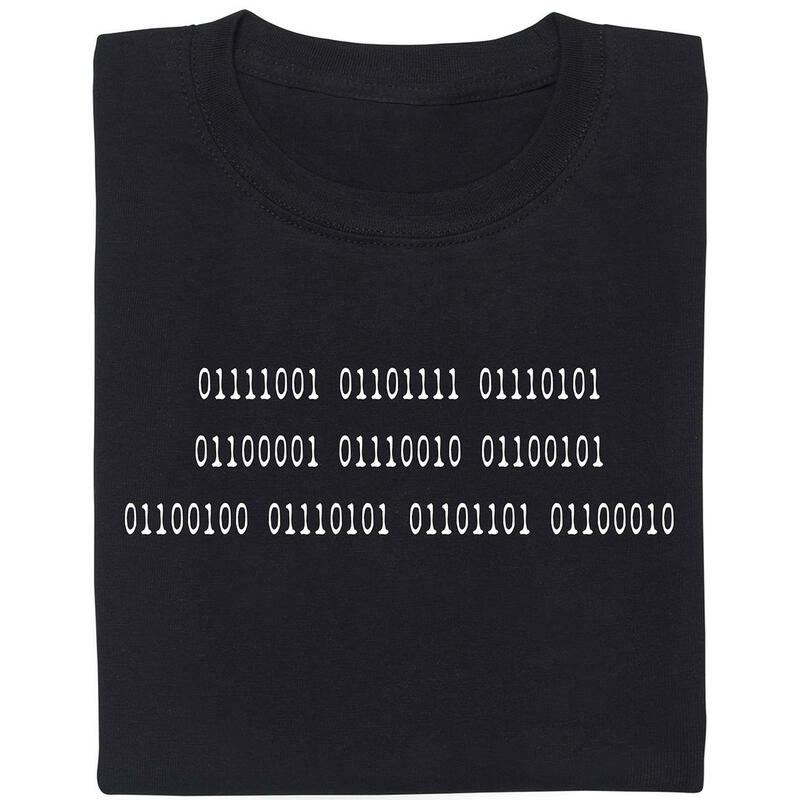 Without a modern keyboard, using a computer the way we are used to seems unimaginable. This handy peripheral device allows us to work, play games and share important videos of cats with our friends. 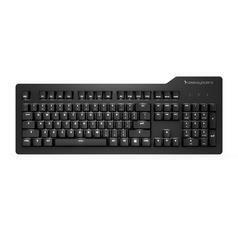 High-quality mechanical keyboards allow demanding users to enter data and text with extreme precision while enjoying the unique typing experience that mechanical switches offer. But the rather minimal design of these tools is not everyones cup of tea and sometimes, one finds oneself longing for the style and class of typewriters from days long past. The Nanoxia Ncore Retro Mechanical Keyboard manages to combine the visuals of a good, old typewriter with the technologies found in modern keyboards. As some would say: The best of two worlds. 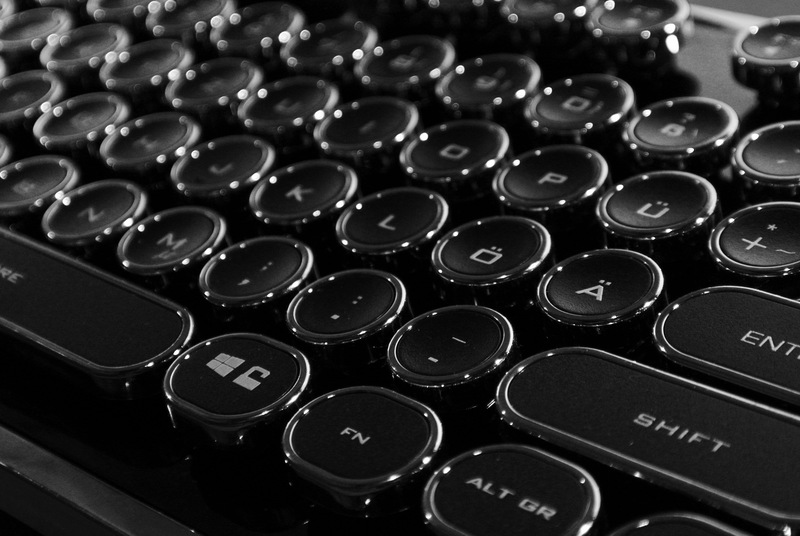 At the first glance, the appearance of the keyboard truly is reminiscent of a typewriter from the last century: Unlike with regular keyboards, the keys are round and the chromium-plated silver highlights give off an aura of timeless style and class. Following this delightfully anachronistic approach, the blue status LEDs are not hidden inside the keyboard, but protrude the chassis. Under the hood, the Ncore Retro reveals its true power: The fully modular and individually removable keycaps are connected to mechanical Kaihl White Switches that complete the illusion of using a typewriter with their tactile feedback and audible click. These switches are comparable to Cherry Blues and have a life expectancy of 50 million keystrokes. 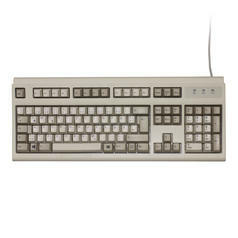 The keyboard is available in US, UK and DE layout and features several media keys that can be accessed via the Fn key. 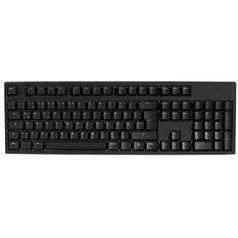 In addition, the allocation of the WASD and arrow keys can be switched and the Windows key can be deactivated to prevent accidentally exiting to the desktop during games. Additional features such as n-key rollover and anti-ghosting guarantee that the Ncore Retro will be able to complete even the most advanced task with ease. For the US layout, you can also choose between plastic or aluminium body. 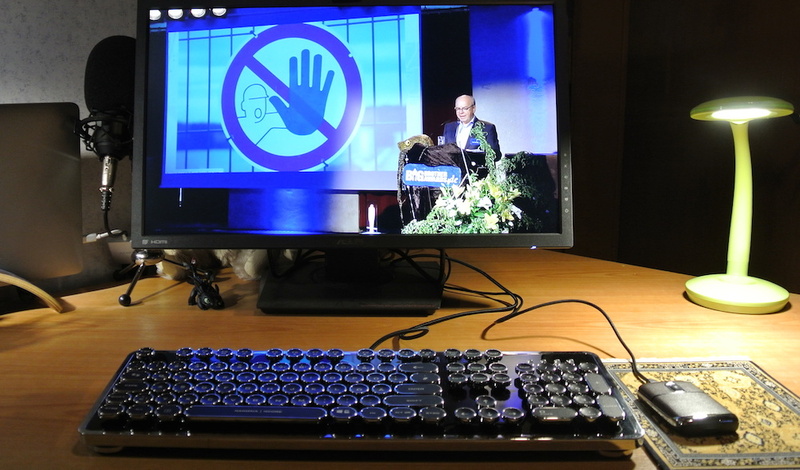 The keyboard can be connected with a computer via a 1.8 metres long, braided USB 2.0 cord and is compatible with all Windows devices. 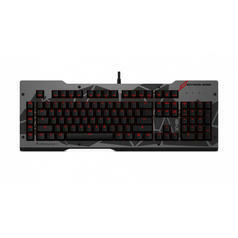 The keyboard is also waterproof, so it will definitely survive the occasional spilled drink and can be cleaned easily. To help with that, a special brush and a cleaning cloth are included, as well as a special keycap puller. 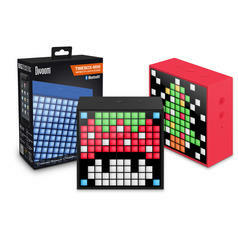 49,95 € lade... Divoom Timebox Mini - Bluetooth Desktop Companion Speaker, alarm clock, picture frame  this small box can do almost everything!